Labeling System is a method of identifying and differentiating a package. A package can be a basket, a wooden box, a barrel, a bag or even a bronze vessel. A label can be in a graphic form or printed form and is a means of communicating all contents of a package or for other similar purposes. There are several types of labeling machines each for labeling different packages like medicine bottles, water bottles, wine bottle, shrink sleeve, etc. 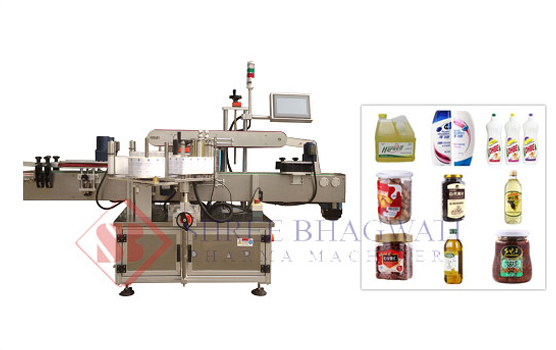 Each labeling machine has a special purpose and is meant for different types of packages and products. The articles go on to describe the significance labeling system in the packaging industry. The packaging industry has been driving the growth of all technology and innovative products. Packing is the 5th largest sector in India and is growing at a rapid pace. Packing is important due to many reasons. There are several types of packaging and many different types of symbols used in packaging. 59% of the customers were drawn to products because of a peel-off label. 53% customers found a product due to bright colors on the packaging and labeling. 60% shoppers are unlikely to buy products with insufficient information on a label. Packaging is very important and serves as physical protection, for containment, security, and convenience. Labeling is equally important and provides valuable information on how to handle a package. There are many types of packages like one for transport, distribution other for consumer packaging. Different type of packages requires a different type of labeling. Provide information on how to transport a package. Some products legally require to have labels like food, medical, chemical and pharmaceutical products. Contain a manufacture date and expiry date. Use symbols to notify of hazardous material, toxic material, etc. Package design depends on the product itself. For example, in the case of medicine, it is likely to be a medicine bottle, for wine, a wine bottle of some kind, similarly, it can be a water bottle, etc. Thus, each package (bottle) also requires a label of some kind to identify all contents and pass other valuable information to a consumer. Several factors are up for consideration when designing the labeling like the type of product, structural design, how to stock it, logistics and even environmental factors. It should ideally be environmentally friendly and be able to sustain hard environmental conditions if the need arises. There are several purpose-built machines that make all tasks of labeling easy. This includes sticker labeling machines, bottle sticker labeling machines, shrink sleeve applicator, etc. Packages need symbols for consumer safety. An environmental symbol like recycling code is necessary. Other labels like barcodes, RFID labels enable automation and quick transport. All international products require labels identifying the country of origin. The shipping information containing vital route, origin and destination code labels help navigate the package correctly. In case material is a flammable liquid, explosives, biohazard material, fragile, electronic equipment, not waterproof, etc., special labeling is necessary to ensure appropriate handling and transportation.